What is one of them? You might ask. We will call for a Method Statement to find out if they have understood the problem, offered a solution and priced accordingly. As a regular player in the world of Tender Evaluation I am the regular recipient of Method Statements from contractors and specialist sub-contractors. Explaining what they will do, how they will do it, with whom, what, why, when and where. 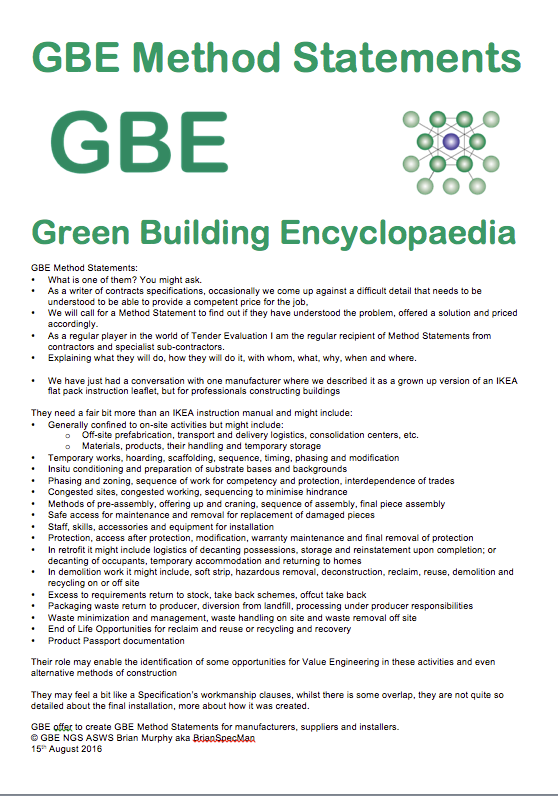 Off-site prefabrication, transport and delivery logistics, consolidation centers, etc. They may feel a bit like a Specification’s workmanship clauses, whilst there is some overlap, they are not quite so detailed about the final installation, more about how it was created. 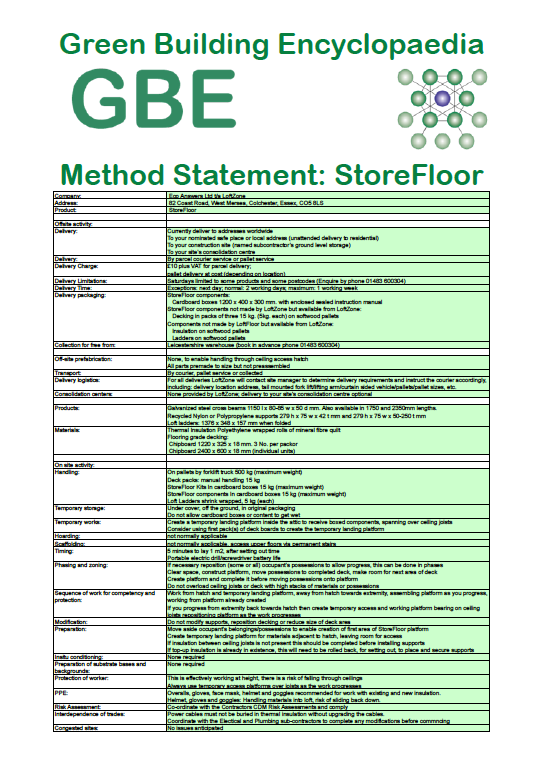 GBE offer to create GBE Method Statements for manufacturers, suppliers and installers.